What Pope Alexander and Bernold of Constance say in this regard needs to be read in light of the great reform movement going on in the Church at the time, and the role of Rome and the Papacy in that reform. Rome has usually been a late-comer to the great movements of reform and renewal in the Church. St Nicholas I, who traditionally shares the epithet “the Great” with Ss Leo I and Gregory I, and is famous inter alia for his defense of the Church’s teaching on the indissolubility of marriage, died in 867 after a reign of nine years. From him, it was a distance of but thirty years and eight Popes to Stephen VI, whose reign of roughly sixteen months is summed up as follows in the Catholic Encyclopedia. After this infamous event, which has provided endless grist for the mills of anti-Catholic controversialists, the Papacy remained essentially quiescent as simony, lay investiture (the de facto control of ecclesiastical appointments by lay civil rulers) and clerical incontinence became nearly omnipresent in the Church. What made Cluny so important, especially in the 10th and 11th centuries, was the fact that the duke who founded it in 910, William of Aquitaine, renounced all control over it, in an age when monasteries were essentially the private property of the nobility, who appointed whomever they wished as abbots and officials. Given the tenor of the times, such appointments were very often made solely for the sake of providing an important connection with a salary, and with no reference to whether the man so appointed had any intention of living as a monk. Much the same applied to clerical offices of all ranks. This state of things continued until the reign of another particularly unworthy successor of St Peter, Benedict IX, whom St Robert Bellarmine described as “the nadir” of the Papacy, and over whose career we draw a veil, as the sons of Noah drew a veil over their father. 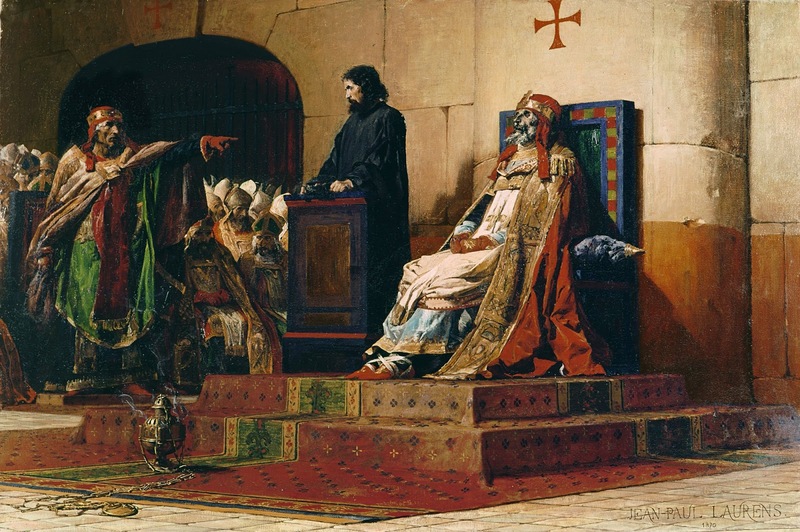 However, after his deposition in 1048, and the 24-day reign of Pope Damasus II, the papal throne was occupied by Leo IX, an active and enthusiastic reformer, now canonized as a Saint. From this point on, the reform party within the Church was in the ascendant, and would go from strength to strength, with the Popes very much at its fore; the clerical vices which were universal in the mid-11th century were almost entirely gone by the end of the 12th. Alexander II, however, was elected in 1061, only 13 years after Benedict’s deposition; the like-minded Popes who preceded him were all fairly short-lived. Moreover, the ascendancy of the reform party was only made possible by the direct intervention of the German Emperor Henry III, for it was he who effectively deposed Benedict and then appointed to the Papacy a series of German bishops, all of whom owed their episcopal see to him; the short-lived Damasus II, his own kinsman St Leo IX, and then Victor II. In these circumstances, it was perhaps only natural that once the reform party had taken control of Rome, it should begin to insist that the specifically Roman form of the Roman Rite also be followed, as a sign of unity with the Papacy and the worthy cause it had only very recently embraced. 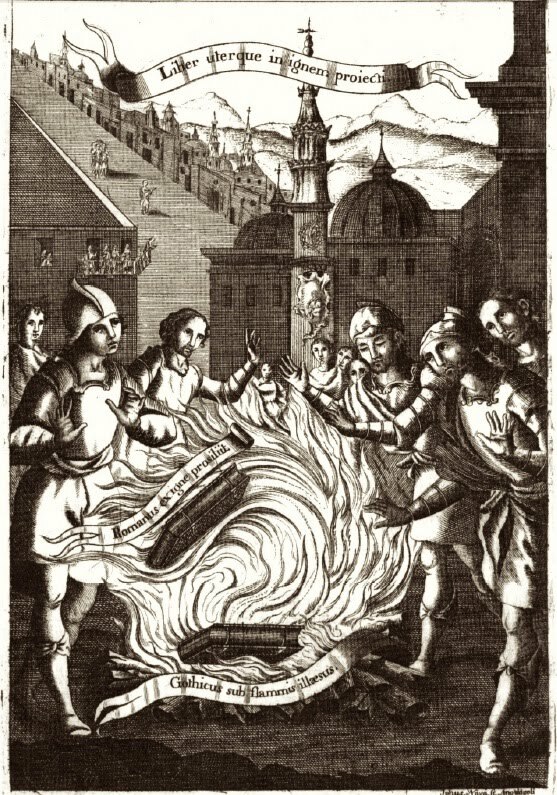 This was also the period when the Mozarabic liturgy was to a large degree forcibly suppressed, despite coming out the victor in a trial by fire; a similar attempt was made on the Ambrosian Rite, endorsed by St Peter Damian, and only stopped because Alexander II was himself Milanese. 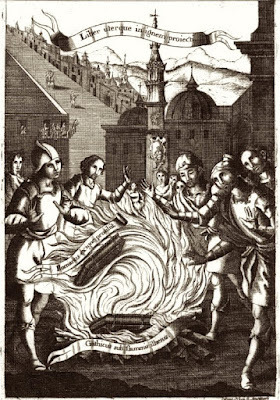 The trial by fire of the Mozarabic liturgy. Bernold of Constance was an enthusiastic supporter of the reform party; he lists a number of liturgical provisions enacted by Alexander’s successor, St Gregory VII, who was so much the embodiment of the reform that it is sometimes called “Gregorian” after him. The Micrologus, a treatise of roughly 16,500 words, refers more than 70 times to “the Roman order”, “the authority of Rome”, etc. But even for all this, Pope Alexander’s critique of the feast evinces an astonishing lack of historical perspicacity. 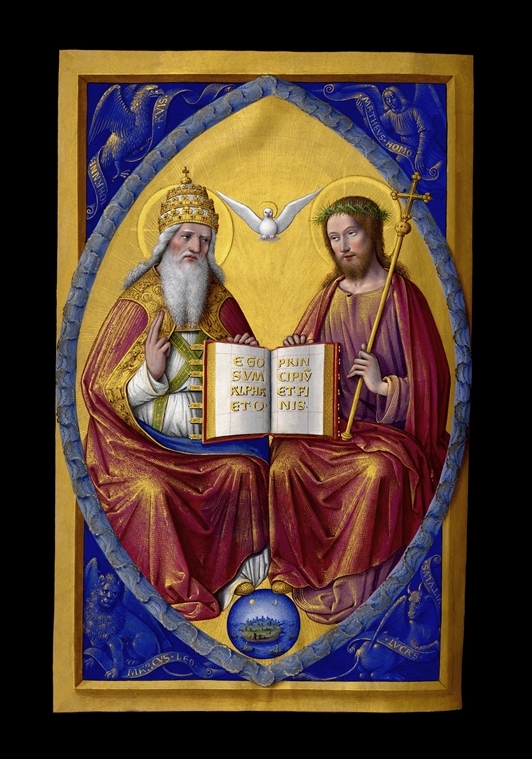 It hardly needs to be said that the doctrine of the Trinity, on the other hand, the central mystery of the Christian Faith, was the subject of considerable discussion, which required seven ecumenical councils, innumerable local councils, and a vast body of theological writing for its defense. The most important heresies of the pre-Constantinian era, those which drove Arius and others to the opposite extreme, the denial of Christ’s divinity, all turned around the idea that because God is one, Christ must be in some way the same as the Father. This doctrine is usually known as Sabellianism, after a Roman priest named Sabellius who was excommunicated for teaching it by Pope St Callixtus I in 220 AD. However, it is also known as “Patripassianism”, the heresy that it was God the Father who suffered on the Cross. The Church Fathers, therefore, had to assert that the Incarnation did not compromise the essential doctrine of the unicity of God; the doctrine of the Trinity is the elaboration of this teaching. Among the modern writers, perhaps no one has expressed the import of this better than GK Chesterton did in The Everlasting Man. I think it unlikely to be mere coincidence that once the Gregorian reform had largely achieved its purpose, the blanket rejection of new feasts and devotions as “inauthentic” seems mostly to have faded away. There was a similar controversy over the feast of the Immaculate Conception in the days of St Bernard, who was opposed to it. But in the 13th century, it was the Pope himself, Urban IV, who commissioned St Thomas Aquinas to write the great masterpieces which are the Office and Mass of Corpus Christi. It is yet another oddity of liturgical history that Pope Urban’s initiative was not received even in the Papal court itself until the time of John XXII (1316-34), perhaps another example of the undercurrent of Roman laziness described by Krautheimer. It was the same Pope who canonized St Thomas, and extended the feast of the Trinity to the universal Church. The Holy Trinity, from the Grandes Heures d’Anne de Bretagne (The Great Hours of Anne of Brittany), made by Jean Bourdichon, 1503-8, for Anne, Duchess of Brittany and Queen of France (1477-1514), and considered to be one of the finest illuminated Books of Hour ever made. Bibliothèque nationale de France, Département des Manuscrits Latin 9474.